No matter where in America you are right now, the headlines are coming fast and furious – the Supreme Court, the Russia investigation, Facebook, and on and on. 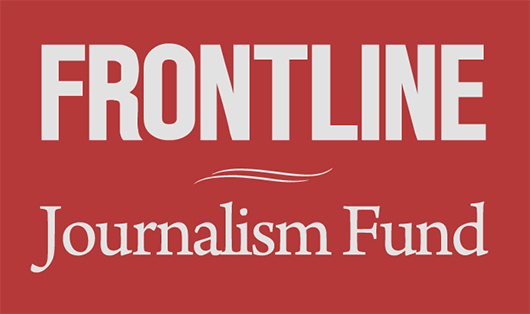 At FRONTLINE, we’ve been paying close attention to it all, and our journalists have been hard at work on new documentaries that will bring you the stories behind the latest headlines – and more. It’s one of the great benefits of FRONTLINE, that we are able to take time to report deeply, going beyond the tweets and non-stop cable news scrolls – and then come to you with hard-hitting and timely investigations. Finally this fall, on Nov. 20, we’ll continue our reporting with ProPublica on the resurgence of white supremacist groups in America. In Documenting Hate: New American Nazis, A.C. Thompson and Rick Rowley are back on the trail of the white supremacists who participated in the 2017 Charlottesville rally, finding a neo-Nazi terrorist group that has actively recruited inside the U.S. military. If you missed the first film in this series, Documenting Hate: Charlottesville, I hope you can find time to watch it, too. And stay tuned for the launch of the second season of The FRONTLINE Dispatch, our original, narrative podcast, later this fall. We know there is a lot coming at you, so we appreciate your continued support of FRONTLINE. We promise to keep bringing you the serious journalism that is needed, now more than ever.